1. What are snow tires and why do I need them? Winter/snow tires are specially designed tires that are intended to work best in low temperatures and in snowy or icy conditions like the ones we have in Maine. They are designed to provide your vehicle with better traction (thus giving you safer driving) than regular tires. They do this with deep treads that can grip better on unplowed snow or ice, meaning it will give you a better ability to start up a hill, stop your vehicle or drive in deep snow. Some snow tires are also studdable. What this means is that the tires can have dozens of metal studs embedded into the surface of the tire. These metal studs dig down into the surface of ice or packed snow and can give you even better traction on slippery going. 2. I have all-season tires, why can’t I just use them all winter? While all-season tires are a better option for winter than summer tires, snow tires are typically a better option if you’re driving in lots of snow or ice. All-season tires try to accommodate all types of driving situations, but they are not optimized for any one condition. This means they may not be adequate in heavy snow or ice like snow tires will be. 3. How many snow tires does my vehicle need? Although some sources say that if you have a rear or front-wheel drive vehicle, you only need a pair of snow tires, it is better to have a set of four snow tires. This ensures that all four wheels of your vehicle are getting the same amount of traction and that your vehicle will steer and handle the best it can under less than optimal conditions. In addition, Maine State Law states that it is illegal to put only a pair of studded snow tires on the front wheels of a front-wheel drive car and requires that all four wheels have them. 4. When can I start using my snow tires? If you are using studded snow tires, according to Maine State Law, snow tires can be put on your vehicle as of October 1st and should be removed before May 1st. Studless snow tires can be used any time of the year, but it is not recommended to use them in off-seasons as it will wear them out much faster. 5. When should I buy my snow tires? Some people like to wait until the first snow to purchase their tires, but it is better to purchase them early and get them on your vehicle before you need them. Maine weather is volatile and sometimes the first snow (and the intensity of it) can be a surprise, leaving your vehicle unprepared. In addition, you may have a better selection of snow tires at a better price if you do it early in the season when many tire sellers are offering sales, and in many cases, tire sellers have to pre-order their stock of snow tires, so they may run out early in the season. 6. How long should a set of snow tires last? The average set of snow tires is estimated to last three to four seasons. In addition, by swapping from summer to winter tires with the seasons, this prolongs the life of your summer tires as well. Just like a regular tire, the cost of a snow tire varies from vehicle to vehicle and by quality. For a set of four tires, you can estimate between $200 and $400 for your average car. Any tire seller can work with you to determine what your vehicle requires for tires, what your budget is, and what type of snow tire best suits your winter driving habits. 8. How does swapping from regular tires to snow tires for the season work? •	Your wheels and summer tires are removed from your vehicle. •	Your summer tires are removed from the wheels. •	Your winter tires are mounted on the wheels that your summer tires were removed from. 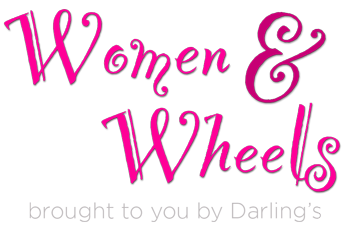 •	The tires are balanced and re-mounted to your vehicle. If you purchase a separate set of wheels in addition to your snow tires, the process is as simple as changing a tire and should typically take less than an hour at most facilities. 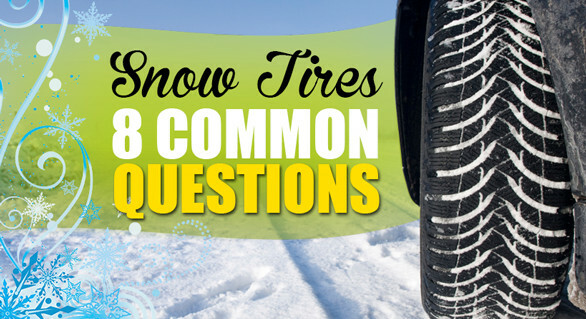 Do you have other questions about snow tires? Ask in the comments below or click here to email our expert panel for personalized advice.